Robert Moog (formally Robert Arthur Moog) is best known as the founder of Moog music and the inventor of the Moog synthesizer . Moog was born in 1934 and lived in New York City for most of his life. He graduated from high school in 1952 and later attended Queens College, graduating in 1957 with a degree in physics. He then got another degree in electrical engineering from Columbia University and a PhD in engineering physics from Cornell University. Moog was the founder of two companies that manufactured musical instruments. Apart from this he also worked as a consultant and vice president for new product research at Kurzweil Music Systems between 1984 to 1988. In the early 1990’s he worked as a research professor of music at the University of North Carolina. His most famous accomplishment was the development of the Moog synthesizer, which was one of the first electronic musical instruments. He conducted his initial research on the subject at the Columbia Princeton Electronic Music Center, which is now called the Computer Music Center. Moog conducted his research along with American composer Herbert Deutsch and developed voltage controlled oscillators which was a major development in the field. Moog was also the first to create voltage controlled synthesizers which he demonstrated at the AES convention in 1964. He later filed for the patent and was successful. Robert Moog marketed and sold his synthesizers through his company R.A. Moog Co which later became Moog Music. His synthesizers were different from others at the time, and looked like a piano style keyboard. One of Moog’s earliest customers was Wendy Carlos, an American composer and electronic musician. Moog acknowledges his helpful feedback in the development of his synthesizer. He had a network of professional musicians as customers and partners, which includes artists such as Keith Emerson, John Cage and Pamelia Kurstin. Moog formed his company R.A moog at the age of 19, when he was approached by a music industry pioneer named Raymond Scott to develop and design circuits for him. Scott was an important figure in furthering Moog’s career. The name of the company was changed to Moog Music in 1972, but Moog left the company in 1977 due to management conflicts. This time, he established another company called Big Briar which started off with making a specialty instrument called theremins and later expanded into different kinds of equipment like pedals. In 1999, he formed a partnership with a company called Bomb Factory to help develop digital effects in music. Moog Music closed down in 1993, and after a legal struggle, Big Briar bought the legal rights to use the Moog Music trademark for its own products. 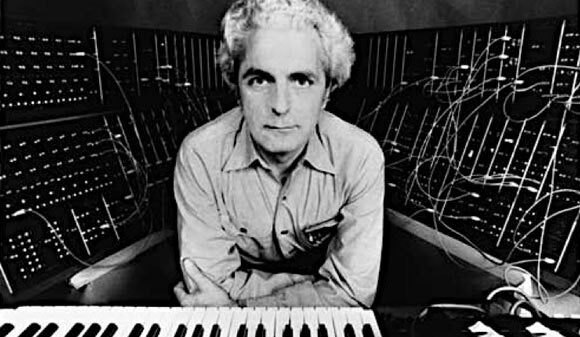 Robert Moog was married twice, once to a grammar school teacher named Shirleigh Leigh, with whom he had three daughters and a son. He produced an album in collaboration with his wife, titled “The Art of the Theremin”. The couple divorced and Moog got remarried to Ileana Grams, who was a philosophy professor. They remained married for nine years, until Moog died at the age of 71 in Asheville, North Carolina. After his death, his wife bequeathed her late husband’s archives, maintained by the Bob Moog foundation, to Cornell University for which she was offered $100,000. She refused to take the money, and stated that she wished for other researchers to benefit from her husband’s expertise.